"love is just a word until someone comes along and gives it meaning"
Guaranteed you’ll have your images back days before Valentine’s Day so you can enjoy the finished product with your family & friends! Includes: 15 minute session, 5 digital images, online photo gallery & photo print release. $75 Includes 1-2 children. Additional $15 per person. Deposit Required: $20 deposit is required to secure your spot! Payment may be sent via Paypal. PayPal.Me/simplyyouphoto If deposit is not received within 2 days of booking your session, your spot will reopen for the public. 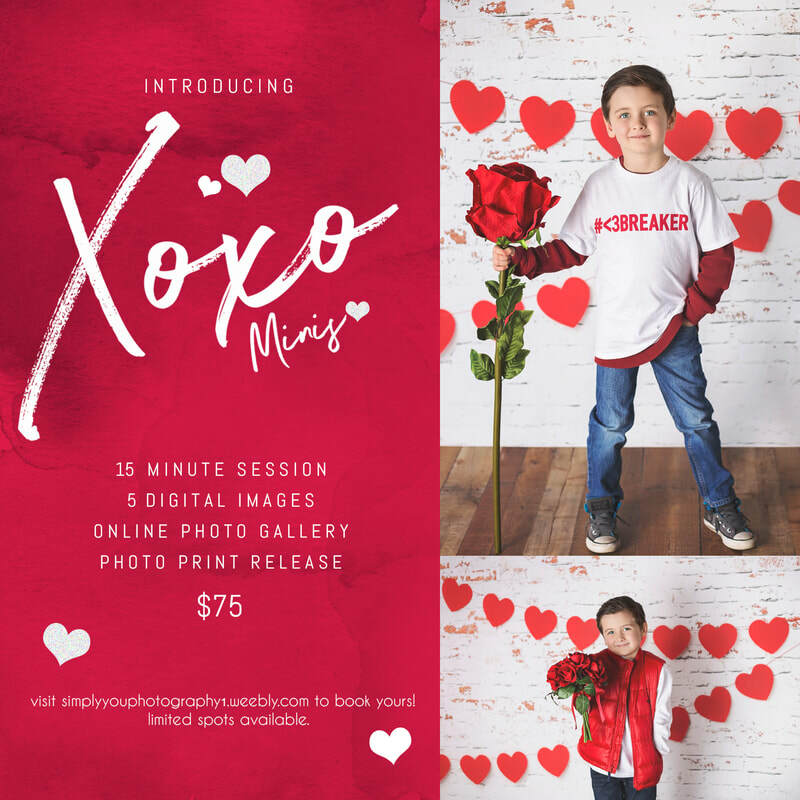 CLICK HERE to reserve your session! Limited spots available. Deposit required.